Some of Canada’s major banks and financial institutions are among the country’s best places to work. Leading job website Indeed has publishes its annual ranking based on thousands of company reviews with luxury hospitality firm Fairmont Hotels & Resorts topping the list as a newcomer to the rankings. Construction firm Ledcor takes second place. "The 25 organizations on our list are considered among the best places to work and have worked hard to listen to the specific needs of their employees to provide an outstanding experience through strategic and thoughtful workplace programs," said Jodi Kasten, managing director at Indeed Canada. 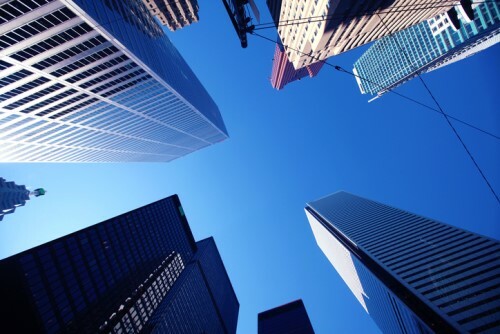 Financial services firms have a strong showing in the list with American Express, Sunlife, Citi, Desjardins, and Sun Life Financial all in the top 25. The banks making the list are: TD Bank (5), RBC (6, slipping from 1 last year), CIBC (12), National Bank/Banque Nationale Du Canada (14), and BMO Financial Group (20). "With such a tight labour market and a low unemployment rate, there is a lot of competition in recruiting today. In order to stand out to job seekers, companies are continuing to evolve their overall employee experience in the hopes of attracting and retaining top talent for their open positions," said Kasten.